There are a lot of tiled roofs in Sydney, and the western suburbs has its fair share. Very often a leak appears in the middle of the house somewhere. In my experience, if there is a large volume of water entry, then it is a broken roof tile. This is a simple roofing repair job. 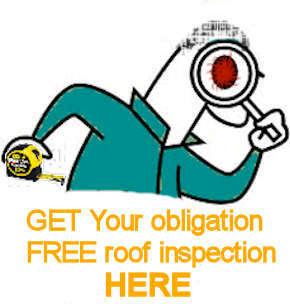 Just replace the cracked roof tile. If there is only a drip and it happens only during persistent long duration rain, then it is quite likely to be a ridge capping issue. There are various reasons why water leaks happen at the main (horizontal) ridge. The most common is the ingress of water through cracks in the beddding or pointing that support the ridge caps. It is not the water getting in that is the problem. There are a lot of tiled roofs in Sydney’s western and southern suburbs that have badly cracked bedding (and lots of water ingress) at the main ridge and they don’t leak! As shown in the video below, the problem is water that gets in and cannot get out. This is the reasons why painting a roof can cause new roof leaks at the ridge caps. A proper repair of the main ridge involves the removal of the ridge capping and the old bedding. Then fresh bedding is laid to support the ridge capping. It is important to install weep holes on the bedding. Then the ridge capping is re-pointed with a flexible pointing to bind the ridge caps to the tiles. The weep holes should be re-instated through the pointing.